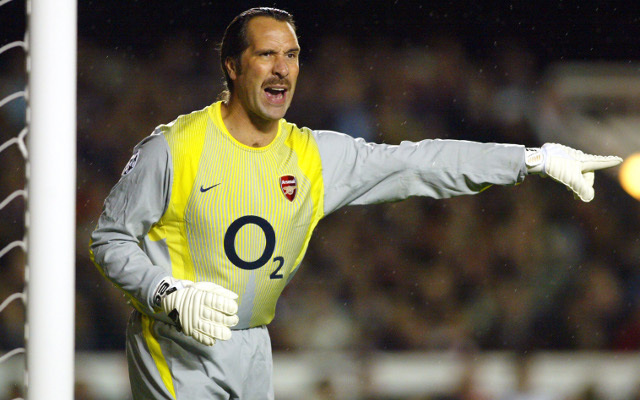 Arsenal legend David Seaman has backed Petr Cech to continue as the club’s main ‘keeper after his solid start to the new season. Cech was in inspired form during the Gunner’s 2-0 win against Everton on Sunday and has impressed generally between the sticks in the opening two months of the 2018-19 campaign. The veteran shot-stopper has been criticised for his displays in an Arsenal shirt during his three-year spell with the club, however, under new manager Unai Emery he seems to be reproducing the best form of his career from his days at Chelsea, which initially earned him his sterling reputation in the game. Emery was drafted in this summer to replace outgoing boss Arsene Wenger and his first six Premier League matches in charge have seen the team win 12 points out of a possible 18. According to Four Four Two, ex-Gunner Seaman says Cech has been a big part of the club’s good form in recent weeks and he believes the 36-year-old should retain his number one spot despite pressure from summer signing Bernd Leno. “He totally deserves to be in the team,” Seaman said when speaking to the media at the FIFA Best Awards. “Every game, he has four or five saves to make and he makes them. Arsenal are in Carabao Cup action against Brentford on Wednesday night before returning to Premier League duties on Saturday against Watford at the Emirates. Cech will likely be rested for their cup clash but should start for the Gunners again this weekend, in a top of the table clash against the high flying Hornets. Supporters will be hoping that the team’s winning run continues and that the former Czech Republic international can maintain his high-level of performances heading into a busy schedule over the next few weeks for the club.